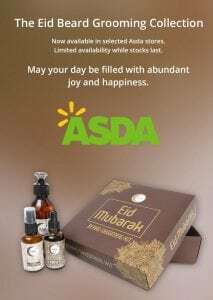 Asda makes Eid shopping easier with gifting options for all – from grandma to the little ones! With two weeks until the end of Ramadan, most Muslims across the UK are gearing up to celebrate Eid-ul-Fitr, the festival that marks the end of the holy month. While Eid is all about festivities, celebration, getting together with the family and enjoying some delectable dishes, another important aspect of Eid is sharing love with your family members and friends, in the form of Eid gifts or “Eidi”. Customers often say that shopping for grandparents can sometimes be difficult, especially when they seem to have everything they need already. Rather than the value, it is the sentiment they cherish. This Eid, thank them for always being there for you and make their Eid special by giving them a beautiful bouquet of fresh flowers along with The Eastern Fragrance – Candle Gift Set of aromatic candles, which will surely bring a smile on their face. For the little ones, Eidi is a completely different ball game. The enthusiasm and excitement on Eid day is unbeatable amongst the kids of the family. Usually sweets, chocolates and money are amongst the commonly presented gifts to kids; however, some parents say finding gifts that educate kids as well as keep them entertained can be difficult to find. This year for the little ones Asda has a host of soft stuffed toys, along with Arabic Puzzles and Play Doh to choose from. And for older kids Asda has special Eid wallets to make it an extra special Eid for them. For those wh o are looking for some gifting inspiration for close family members and friends, there is a perfect rejuvenation gift. After the 30 days of fasting it is important to revitalise yourself, Asda has an exclusive Halal skincare range from the Halal Cosmetic Company for both men and women. The cosmetic gift set will be perfect for mum, who has been lovingly preparing Iftari and Sehri throughout Ramadan, and for dad the Halal Cosmetic Company has a beard set that he is sure to love. At Asda, you will also find something for your friends, relatives and neighbours with an impressive range of confectionaries to choose from – from Dina Baklavas and Coconut Toblerones, to a festive tub of Celebrations and even gold roll wrapping paper! This year make your Eid shopping easier by picking up something for everyone under one roof at Asda.